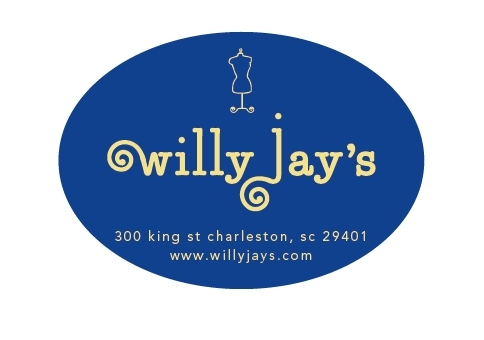 Willy Jay's is in the legendary King Street Fashion District in historic downtown Charleston, South Carolina. Our shoppers are treated to a friendly, lighthearted, fun atmosphere in a service-oriented environment. Our mission is to make you happy-- after all, without you we wouldn't be here! Shopping should and can be fun and affordable! We strive to have something for everyone. Please come visit if you find yourself on King Street in Charleston and if you are in need of some retail therapy.